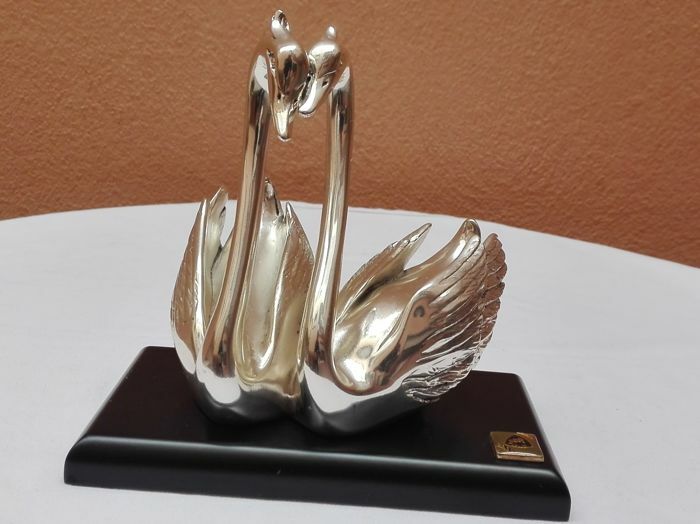 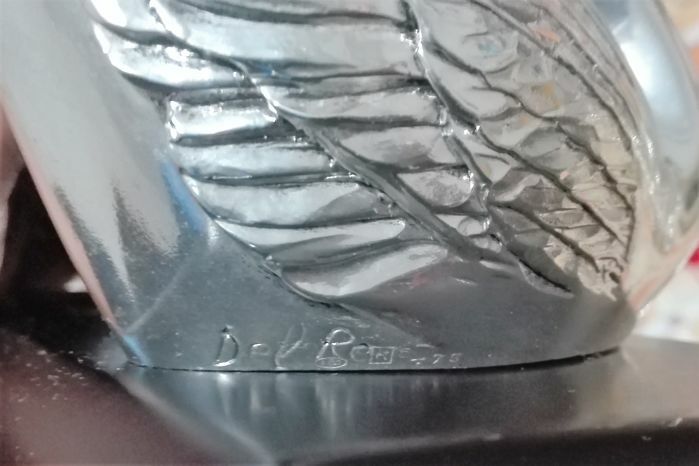 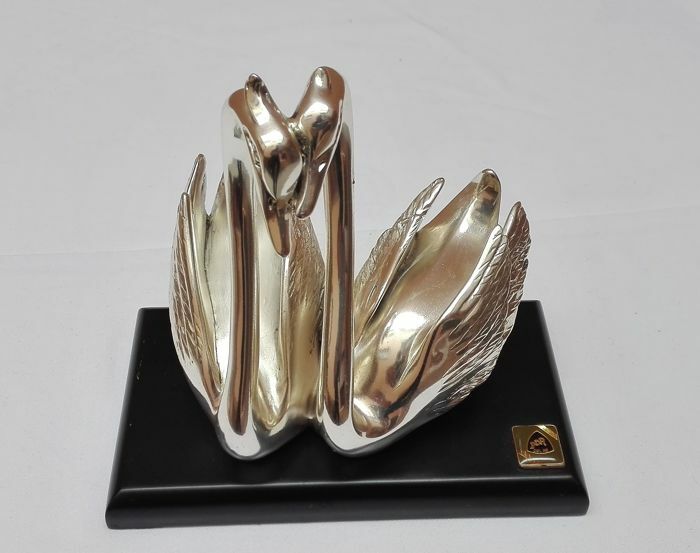 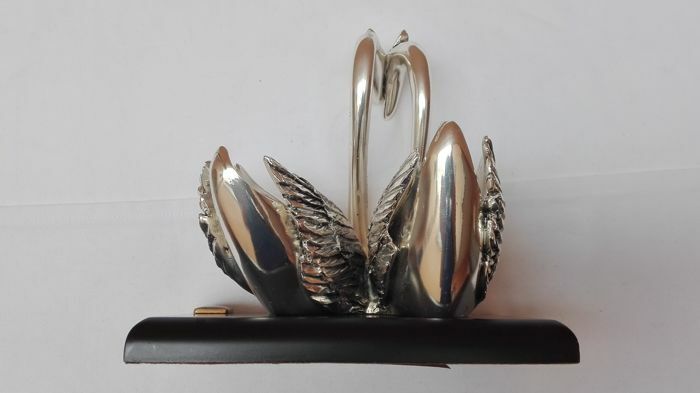 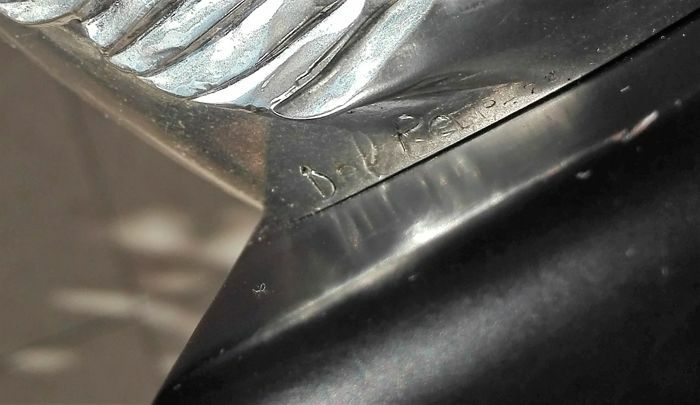 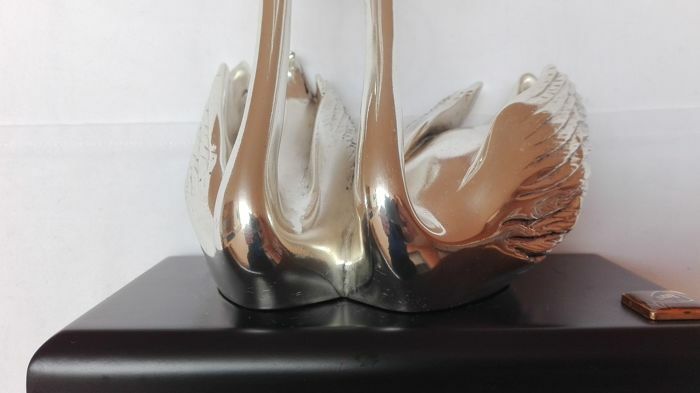 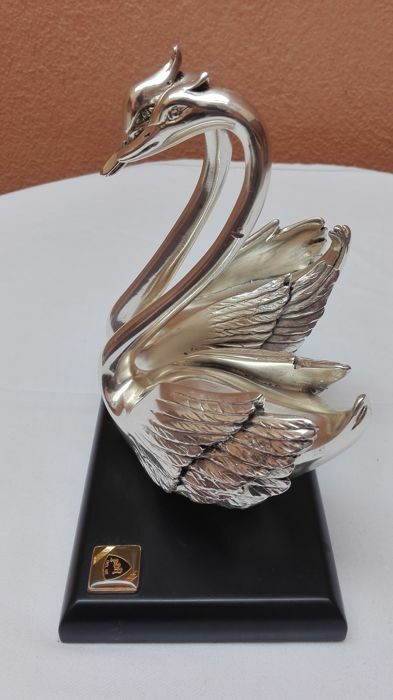 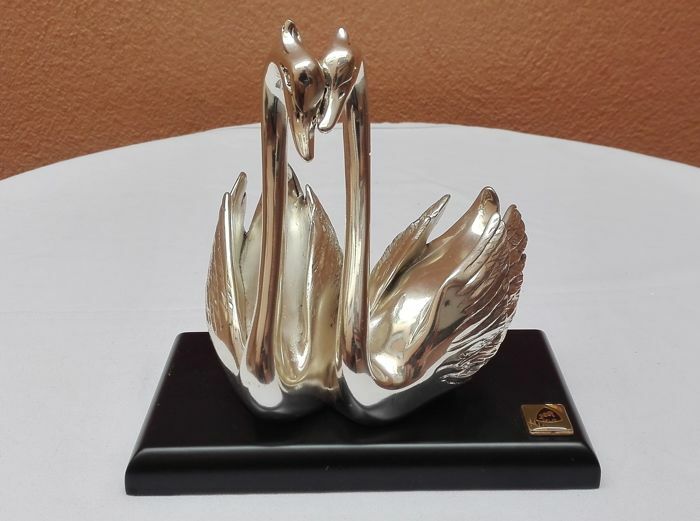 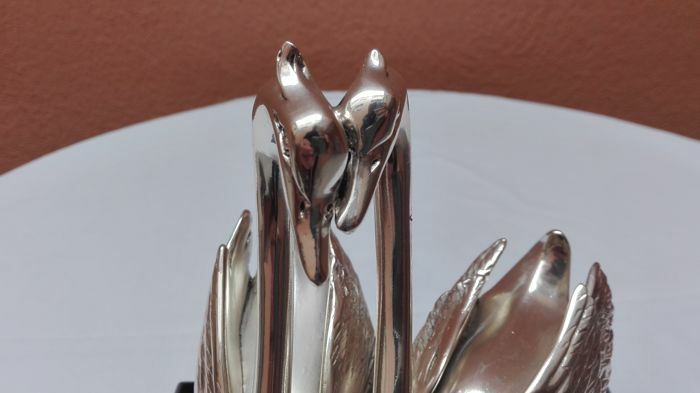 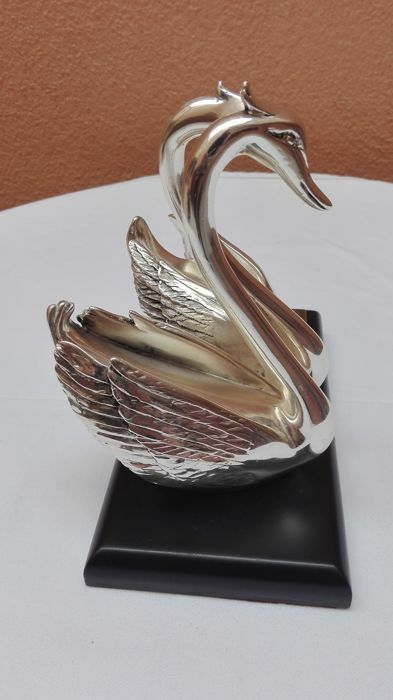 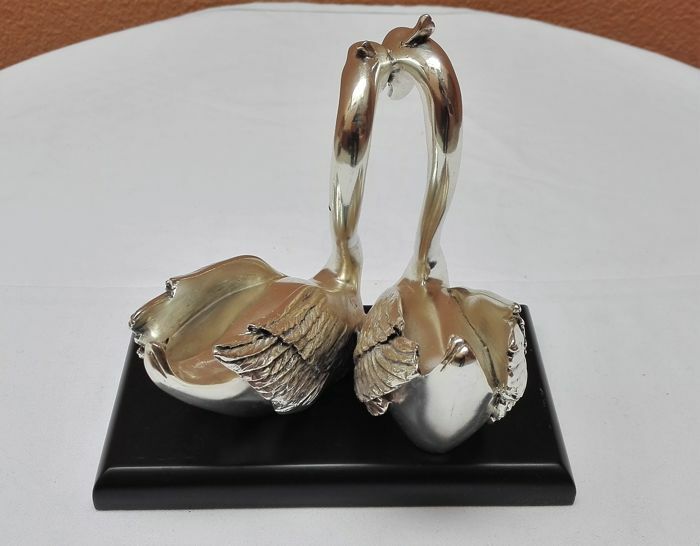 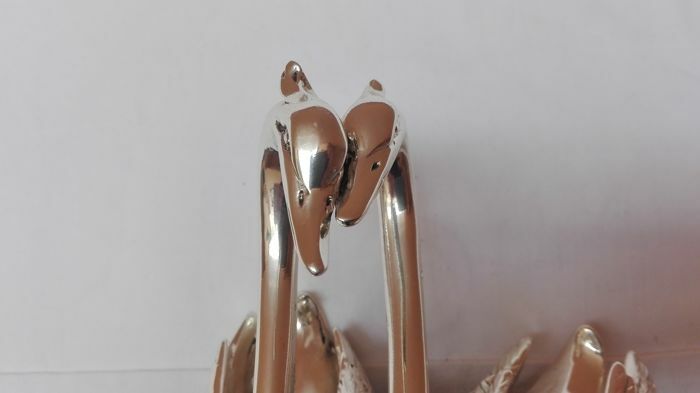 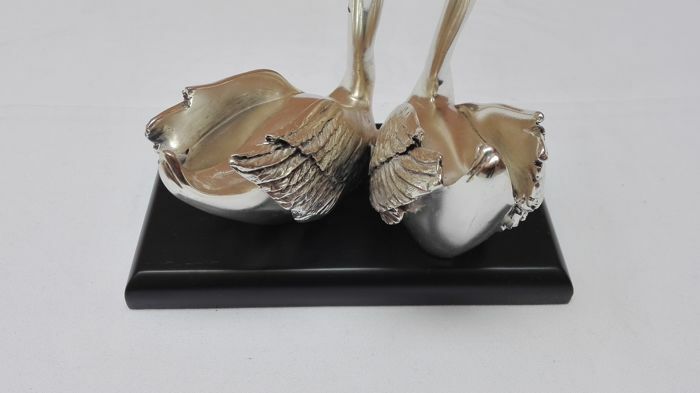 Refined sculpture of two swans, signed by "Del Re", in rolled silver 800, on a wooden base. 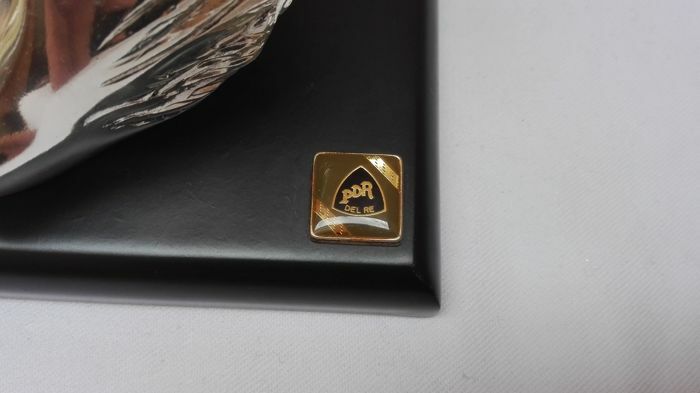 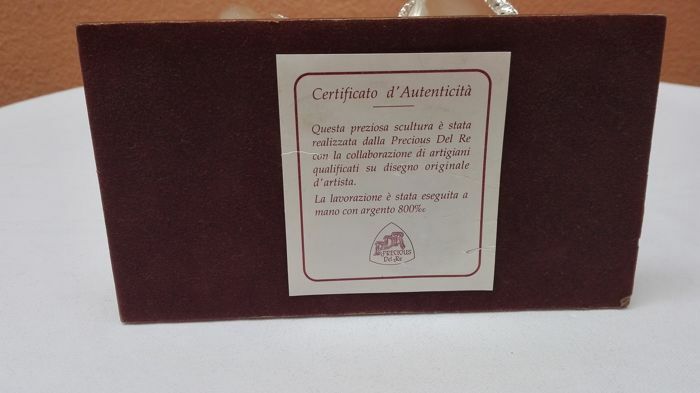 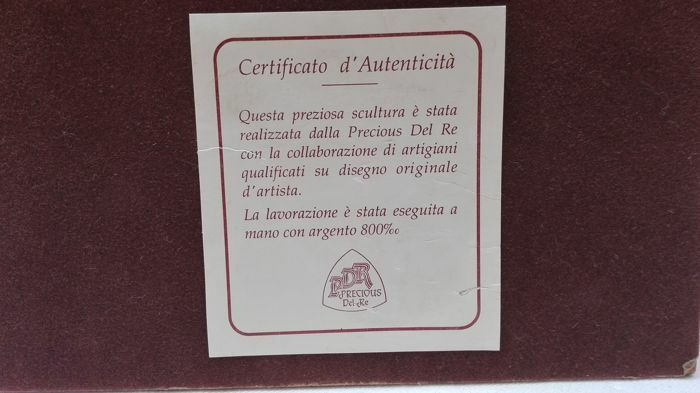 In perfect condition, with certificate of authenticity. 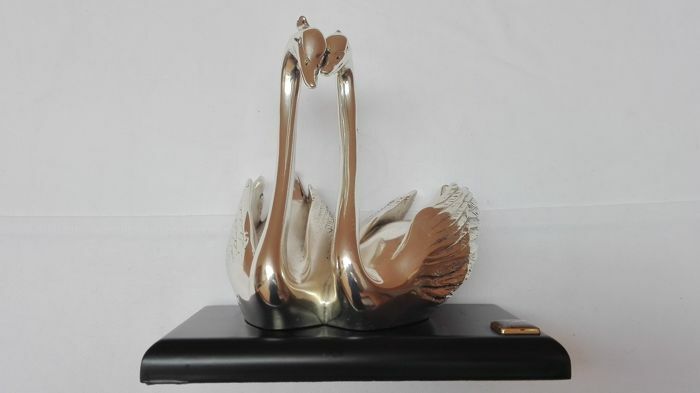 Dimensions: height 16 cm, base 17 x 9.5 cm; weight 745 grams.